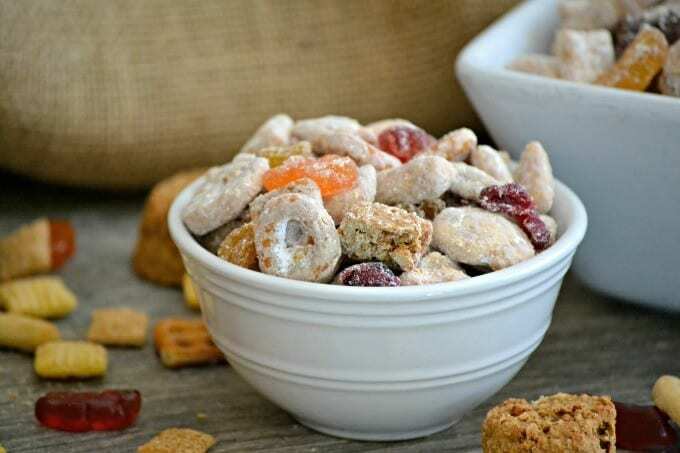 Cookie Butter Snack Mix – Sweet & Salty Chex™ Mix tossed in cookie butter with a combination of Nature Valley™ Soft Baked Granola Bites, Annie’s® Bunny Fruit Snacks, raisins and dried cranberries. 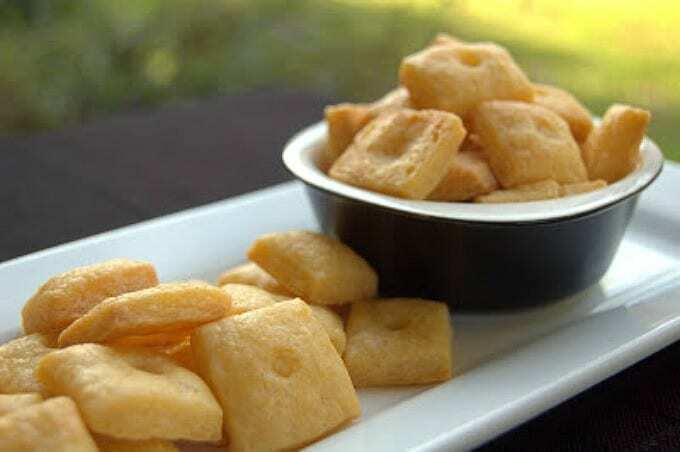 It’s a snack you’ll feel good about giving your kids after school and one they’ll enjoy eating! 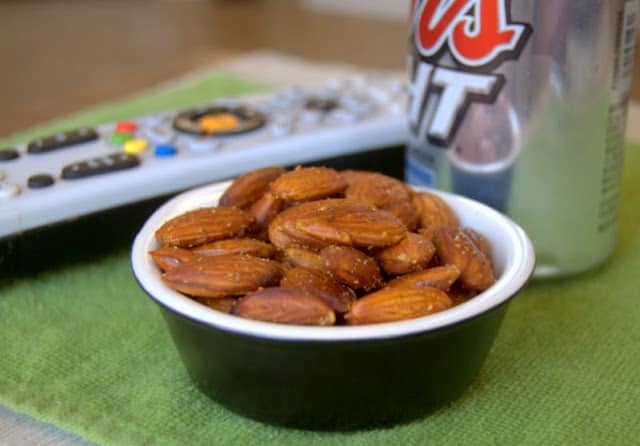 Snacking is where it’s at! Now a days we have SO many options to choose from when we want to munch on something or give the kids a bite to eat when they come home from school. With so many options, sometimes it difficult to decide, too! I was shopping at my local Albertsons the other day when I decided I wanted to make a snack mix. Believe it or not, I’ve never made Chex Muddy Buddies™. Can you believe it? I have a food blog, it’s a popular snack, and I’ve never made them?? When the kids were younger, I purchased the bags of it because it was just so good, it was convenient, and sometimes I’ll admit, things taste better when someone else makes it for you, right? I came across these snacks from General Mills and decided to combine them into one tasty treat, so that there was a taste of something everyone would enjoy. It’s sweet, but not too sweet with just the right amount of crunch and a bit of chewy mixed in. It tasted Snacksational! 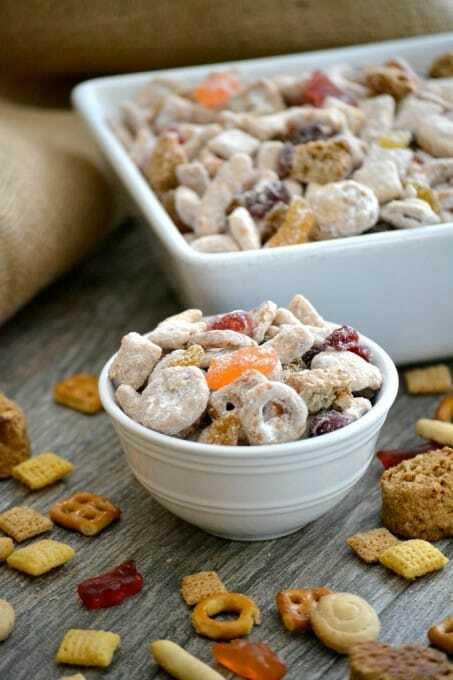 Cookie Butter Snack Mix - Sweet & Salty Chex™ Mix tossed in cookie butter with a combination of Nature Valley™ Soft Baked Granola Bites, Annie's® Bunny Fruit Snacks, raisins and dried cranberries. 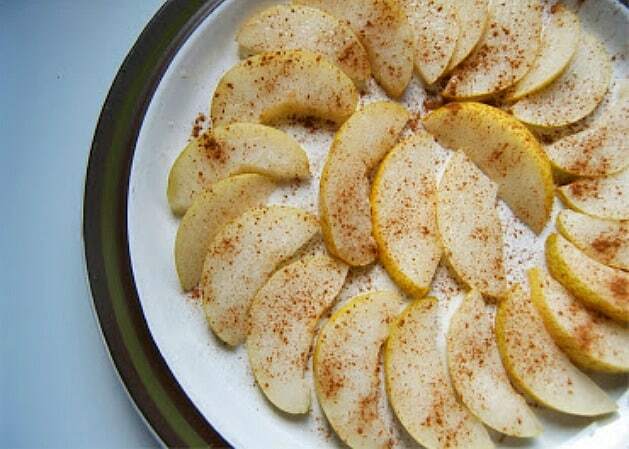 It's a snack you'll feel good about giving your kids after school and they'll enjoy eating! Place the Chex Mix into a large bowl. In a small microwavable bowl, combine the 2 tablespoons butter and cookie butter. Microwave for 30 seconds. Stir until smooth and well combined. Pour over the Chex Mix and stir until well coated. Place the powdered sugar into a gallon size bag. Add the coated Chex Mix to it and seal the bag. Shake the bag until the contents are completely covered. 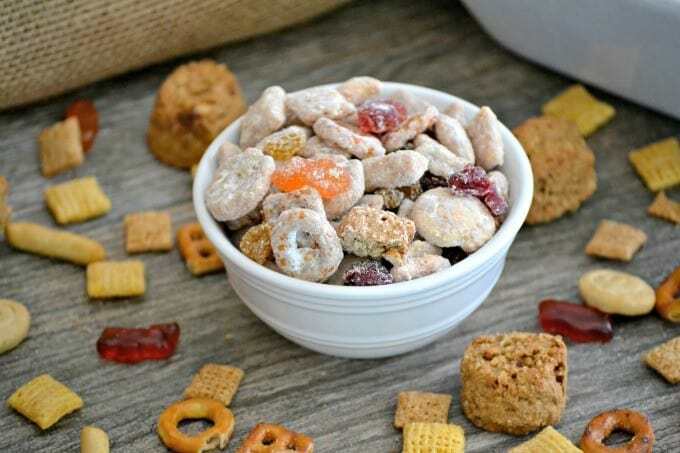 Pour the Chex Mix into a clean large bowl. 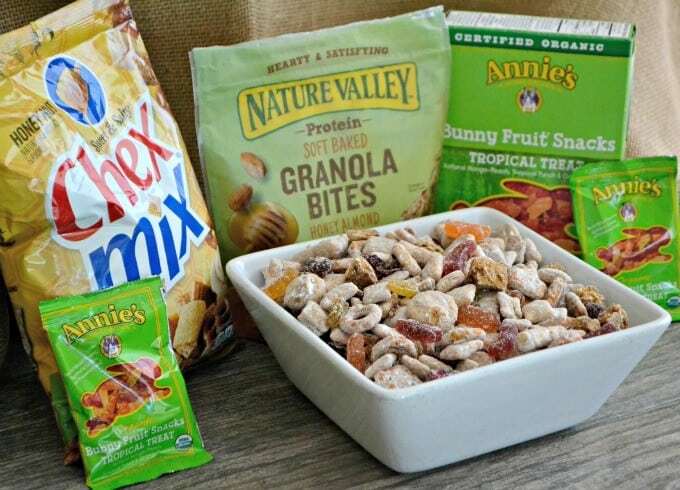 Add the Nature Valley™ Granola Bites, Annie's Fruit Snacks, cranberries and raisins and with a rubber spatula, gently mix everything together. Store in the refrigerator in a sealed plastic bag. 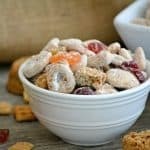 This Cookie Butter Snack Mix is a combination of fun snacks that you’ll feel good about serving your kids and they’ll enjoy eating it! 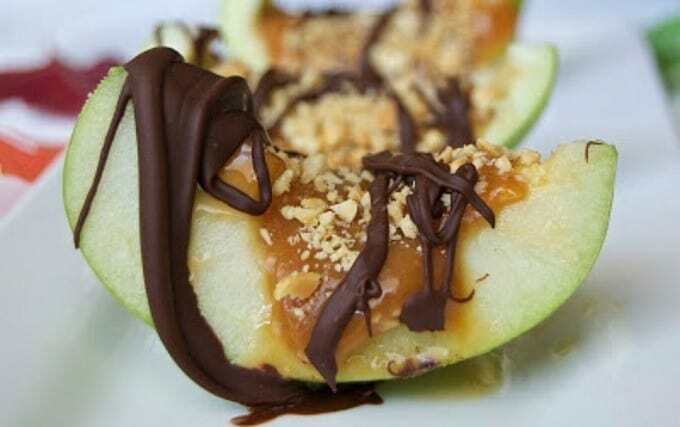 Take a look at these snacks from other bloggers around the interweb!